LONDON - Britain is set to expel 23 Russian diplomats who are believed to be operating as undeclared intelligence officers in the country after Russia failed to explain their involvement in the attampted assasination of a former double agent on British soil. The diplomats have been given a week to leave the UK. 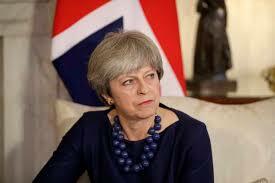 Prime Minister Theresa May said Russia has "demonstrated complete disdain for the gravity of these events." She also said: "they (Russia) have treated the use of a military use of military grade nerve agent in Europe with Sarcasm, contempt and defiance." "There is no alternative conclusion other than that the Russian State was culpable for the attempted murder of Mr. Skripal and his daughter — and for threatening the lives of other British citizens in Salisbury,"
Russia has denied any involvement in the assasination, but that was until they were presented with evidence in the form of the Military grade nerve agent which British intelligence traced to Russia. "Everything that is done today by the British government is absolutely unacceptable and we consider this a provocation,"
Britain will also freeze Russian Assets where it is believed it is used to threaten the lives of British citizens. The Prime Minister also disclosed that no U.K. minister or member of the royal family would attend this summer's Football World Cup holding in Russia. It isn't clear yet how Russia will respond to all these.